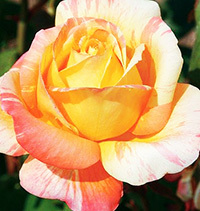 Growing roses is an outdoor activity that can bring you a lifetime of enjoyment in your garden. There are few gardeners out there that do not love the look and the smell of roses worked into their landscaping ideas. 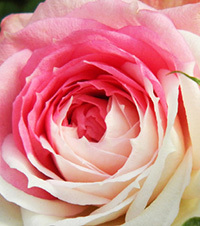 If grown properly, roses are really not all that difficult to cultivate and keep healthy. I have found it often comes down to attention to the details that makes the difference between healthy roses, and those that only ever produce modest blooms. 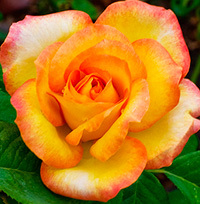 I have discovered over the years that while many people will dabble with a rose or two in their gardens, many are skeptical of their ability to grow good roses that perform well. I have often heard it said that roses are just too fussy, or too difficult to grow. In some gardens perhaps, but if you are able to provide your roses with the right location and soil, you will find that they really are not as difficult as you may have been lead to believe. Not only that, but the joy of growing them is something that you are likely to never forget. Of all the decisions that you will make in the life of your roses, choosing the right location will be one of the most important ones. You will want to select a spot for your roses that gets plenty of sun light. Roses require a lot of sun light if you want them to perform at their best so select a location that gets no less than 6 to 8 hours each day of direct sun light. If you have a spot in mind that gets more, then that is even better. Proper airflow around your plants is also very important when growing roses. Many gardeners overlook this point when choosing a spot but your roses will be much healthier if the leaves stay dry. A spot with good airflow through your garden will help to dry out the morning dew quickly, leaving the leaves nice and dry. Taking a little extra time to think through the planting of your roses will go a very long way towards giving you many wonderful blooms that you can enjoy for much of the growing season. 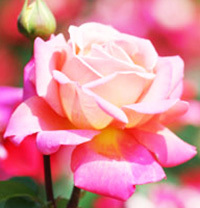 The composition of your soil is another extremely important thing to consider when growing roses. Roses need soil that drains very well if you want them to perform at their best. If the soil does not drain properly, then you may discover that your roses will end up weak and spindly, and susceptible to various diseases. If you are unsure about the quality of your garden soil, the easiest way to resolve the issue is to pick up several bags of a high quality potting soil from your local garden center. Pick up one that is designed specifically for growing roses. That will take much of the guesswork out of it for you. Getting your roses into the ground is not all that hard and most growers are able to get the job done pretty well with just a few basic hand tools. If you bought your roses from a local nursery, then they were probably already planted in a container for you and ready to bloom. These are the easiest roses to get started with. Dig your hole at least half the diameter of the container and equally as deep. This will keep the bud union at its original depth and still give you plenty of room around the roots for your soil mix. If you bought your roses as bareroot plants then these are planted just a little differently and you should first soak the roots of these overnight in a bucket or room temperature water prior to planting day. Dig your hole as wide as the longest roots and deep enough so that you can set the plant on top of a mound of soil while keeping the bud union no more than an inch below the surface of the soil. Once you have your rose set on the mound, spread the roots out in all directions and then backfill the hole halfway using your garden soil. Take the garden hose and water the loose soil heavily until it flows around the roots like mud, then you can finish filling the hole the rest of the way. Give the soil one last heavy watering and be sure to top off any final settling that might occur. This method should make sure that you don’t get air pockets around the roots of your roses. Once your roses are planted and growing, you will need to make sure that you take good care of them so they can grow big and strong. You will need to provide them with enough water and nutrients, while being careful not to overdo it. For most climates this usually amounts to about one deep watering per week. 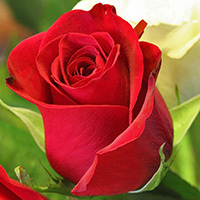 If you live in a hot or dry region, then you should check on your roses every couple days but only water them as needed. A good rule of thumb is if you push your finger into the soil around the base and it comes out wet, they don’t need watered. You also should consider growing roses with a dose of a granular all-purpose fertilizer in the early spring when the leaves begin to form. This will give your roses a great jump on the season. If your roses is a repeat bloomer, then it will benefit nicely from additional feedings over the course of the growing season. When growing roses, I usually give them a second feeding immediately following the first big bloom, with a third feeding sometime around midsummer to encourage those late season blooms. You should prune your roses in the late winter or very early spring. Whenever the weather in your region starts to warm, but before the leaves start to open. This makes pruning much easier on you and your roses. Start by removing all the dead and discolored canes from the plant and set your cuttings aside. Next, prune back any overlapping lateral canes so these do not compete for sun light when the leaves fully open. Lastly, cut back the remaining canes about one third to promote new growth. This is also the best time to clean up around your roses and get rid of all the dead leaves and debris that tends to collect there. Throw all of this material away in the trash along with your cuttings. When growing roses, never let dead matter lay around of it can turn into a breeding ground for various pests and diseases. Finish up your pruning by giving your roses a fresh new layer of mulch to start off the growing season.